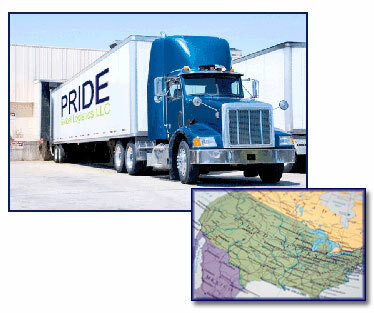 Full Truck Load (FTL) - Gets your regular, perishable or fragile freight to its destination sooner. And because we always negotiate the best rates for you, you save both time and money. 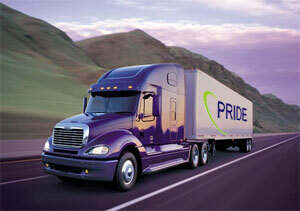 Less than Truck Load (LTL) - Larger savings without sacrificing speed or efficiency. Our network alliance provides LTL services to and from all points in the United States, with additional service options to Canada and Mexico. Pride can handle your deliveries with extremely short turn-around times, even on Saturday and Sunday - either by ground or by air, including next-flight-out air service utilizing our Same Day and Next Day service options. We accept all shipments, big or small - count on Pride for your shipments of 100 to 1,000,000 kilos, we have no weight or size limitations! We team up with our customers to create new point-to-point delivery solutions to optimize trailer load factors and each domestic freight service is tied in directly with our comprehensive portfolio of air, ocean and logistics service capabilities worldwide to provide you with the most cost- effective and time-critical solutions! For heavy loads, oversized or project freight, Pride’s domestic forwarding experts consult with our customers to provide you with the most efficient method to get your freight to its final destination. We are familiar with all types of live load, drop and pull, drop and swap, chassis and special tri-axle shipment requirements.